The first set of monsters for the WizKids Wardlings Painted RPG Figures line will release next May, along with two new magic-using heroes, the Girl Witch and the Boy Warlock. Designed with the young and young-at-heart in mind, Wardlings are fully-assembled pre-painted plastic miniatures depicting young heroes from a magical realm where children are gifted with special powers that fade as they grow older. 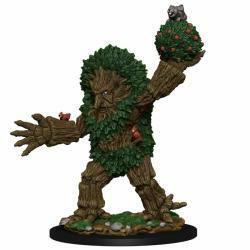 Each hero is supported by their own animal companion as they head out to face the evil that threatens their lands (see �WizKids Reveals �Wardlings� Pre-painted Minis� and �WizKids �Wardlings RPG Figures� Wave Two�).